The most honest truth released by Disclosure Israel. It’s now time for the people of the world to see REAL truth, and America is leading the way. 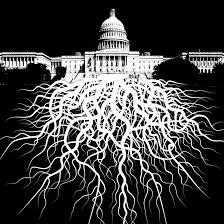 The “criminals” of the Deep State are being exposed, and hang on, the shaking is just beginning. May the Creator of the Universe and His angel armies lead the way against the real enemy of our souls. May we become united as our original forefathers intended for us to be. Once again become the United States of America in God We Trust.